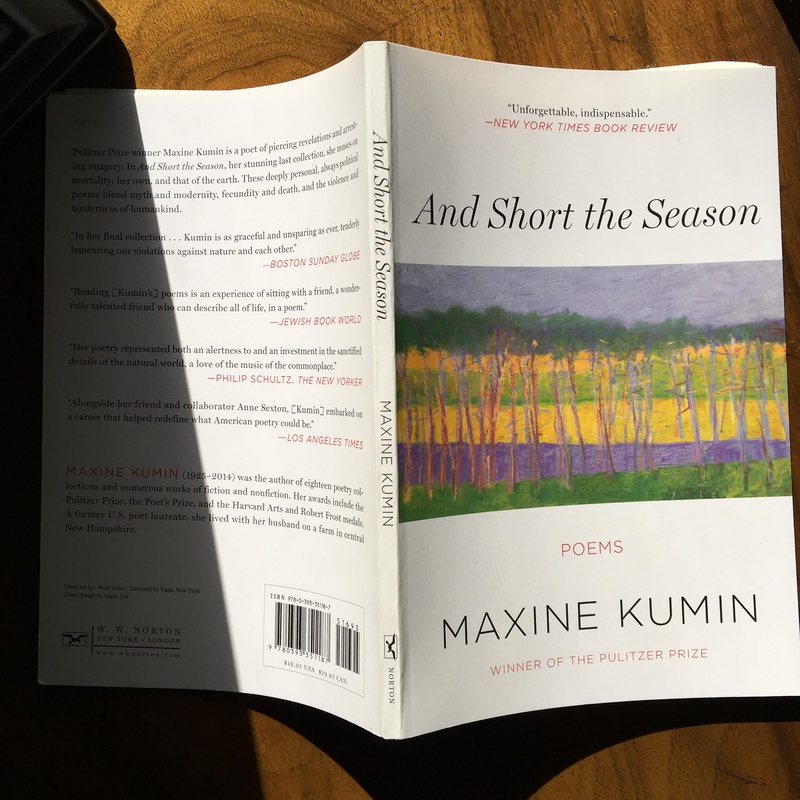 Last week, I had the pleasure of reading And Short the Season, the last collection by Maxine Kumin (1925-2014). Usually I try not to read late collections until I’ve read a few early collections for reference, but I couldn’t pass up this beauty when we stopped in at Island Books in Rhode Island last month. In the collection, Kumin writes about her New Hampshire farm, politics, the seventeenth-century writer Margaret Cavendish, and the approach of death. These poems, simultaneously elegant and earthy, made me want to pick up Kumin’s selected poems. But look, she seems to say, at the texture and richness of nature’s brief beauty; consider the beginnings made out of ends: the rubythroated hummingbird in the “fading lilacs,” the alyssum (an annual, usually cream-colored, that smells like honey), the bee in the bleeding heart (a flower that looks like its name), the green of the new grass eaten by the living horses. 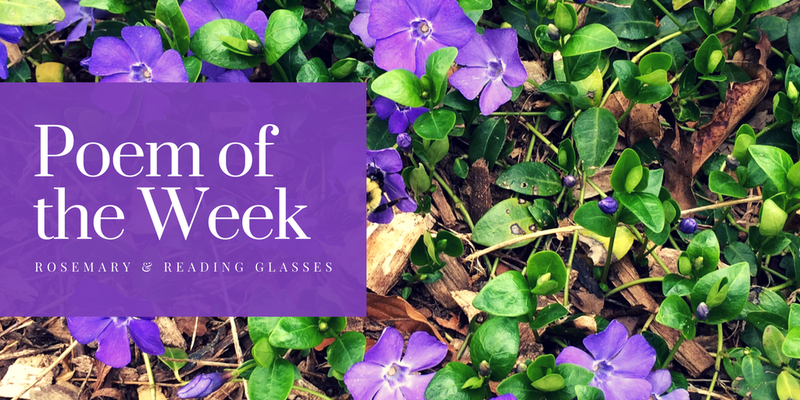 Consider the “bluets, violets,” the “little flecks of buttercup on my sneaker toes.” These delicate flowers (all of them small, or composed of very small petals bunched together) are a rainbow of color, and like a rainbow, short-lived. While the speaker’s “wet feet, wet cuffs” and her sneakers suggest (to me, anyway) a child outdoors at first light, soaked with dew, the poem’s last line—“brittle beauty—might this be the last?”—reminds us that the speaker is no child, that this season, this gift, could be the last whose shock of color she witnesses, and versifies. What poems are you reading this week?